If you have every experienced the loss of a loved one, I know how you feel. I have endured losses no mother wants to encounter. This website is born out of a desire to help you protect your family. I want to make sure that if you have to deal with the death of a loved one, that you have your personal and financial legacy set up. That during your time of despair and grief, you won't have to worry about yourself or your children. My trials have given me a mission to help you feel empowered to begin your own financial and personal Legacy of Love. If you have ever experienced a loss of a loved one, I know how you feel. I had tragedy after tragedy that no mother should ever experience. I want to make sure that if you have to deal with death, despair and grief that you have your personal and financial legacy set up so you don’t have to worry about yourself or your children. My trials have given me a mission to help you feel empowered to begin your own financial and personal legacy. Writing my book was so personal and painful but I’m so glad that I did because now I can help more people! There is now a whole new understanding of my purpose in life and it has opened my heart to help others struggling with similar obstacles. Grief is hard! My prayer is that I can help you handle your grief while you are put in the difficult situation of having to take on new financial roles. As a financial advisor, I most often see women dealing with the death of a loved one. It’s not an unusual occurrence, especially for women that they lose their spouse and are looking for help in their finances! They feel worried, stressed and overwhelmed about figuring out how to get their finances in place and back to a “new” normal. There was a woman; we’ll call her Sue, who was in her early 40’s. She had two young children and was a stay at home mom. Her husband was a business owner and the sole provider for the family. They had a great life until…one tragic day; her husband went on a motorcycle ride. He never made it home. Sue had come to find out that her husband had no life insurance. On top of that, there was no will and no succession plan for his business. Sue’s financial outlook took a bleak turn. Her whole life changed in an instant and she had to start all over again. PLEASE! Don’t let this happen to you!! 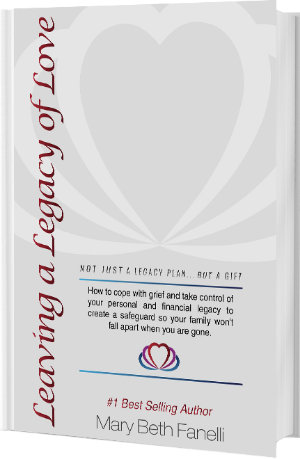 Losing a loved one is painful enough and settling an estate is a distressing process for those left behind. It becomes even more complicated if there is no plan in place to help guide your grieving family. I am here to help you. I hope you take the time to take advantage of the resources here. The importance of a financial legacy is not stressed enough. Everyone should have a plan. It is vital for your family to understand your wishes and desires after you are no longer here to communicate with them! Please enjoy exploring the site. The importance of a financial legacy is not stressed enough. Everyone should have a plan. It is vital for your family to understand your wishes and desires after you are no longer here to communicate them! Please enjoy exploring the site. 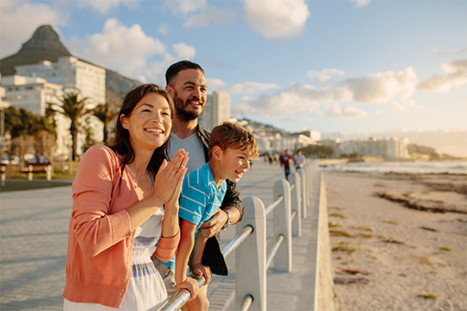 Everything one needs to know about creating an estate plan for your family. Some fun and creative ideas to show how much you care. Things that may seem obvious but most neglect to communicate to their families! Different ideas on how to protect your family and why it is vital for everyone.